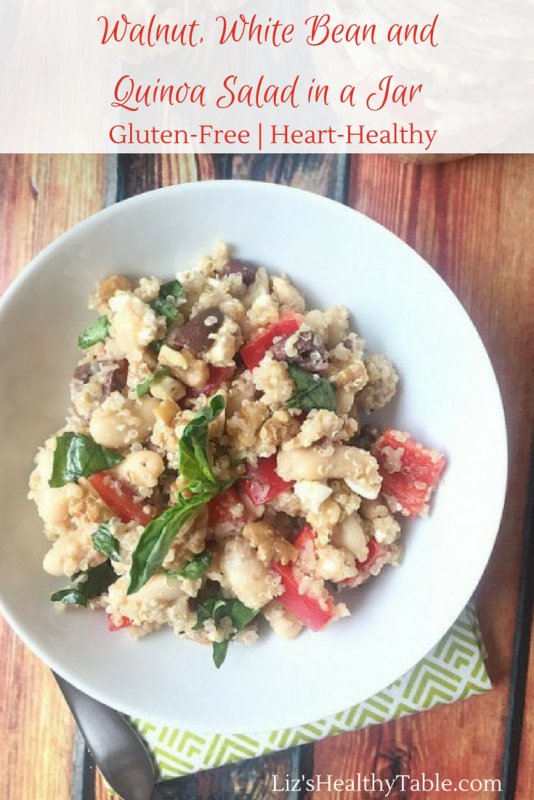 This gluten-free, salad-to-go is filled with fiber, flavor, and heart-healthy omega-3 fat, and whether you’re a busy mom or a school-age kid, I am pretty sure you’ll look forward to eating it for lunch! 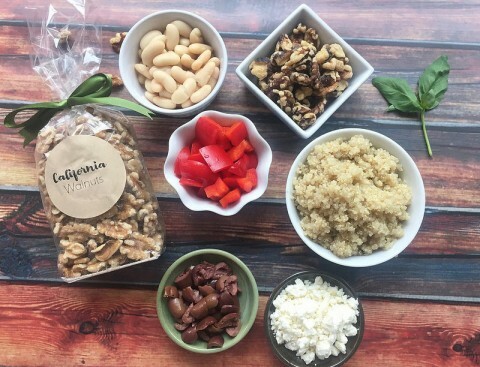 My new recipe was sponsored by the California Walnut Commission. 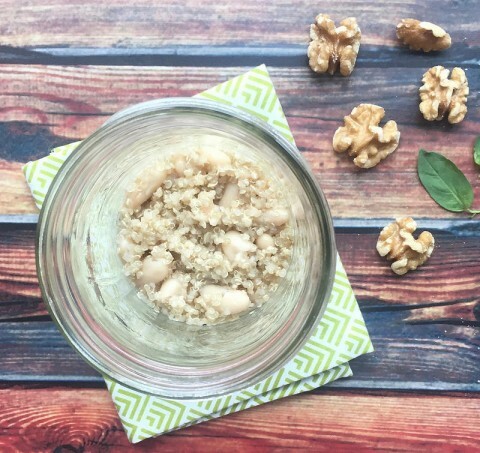 Did you know that walnuts are the only nut—and one of the few foods—significantly high in omega-3 alpha-linolenic acid (ALA), the plant-based omega-3 fatty acid? One ounce (about a handful) has 2.5 grams of ALA, which is more than the recommended daily amount of 1.6 grams for men and 1.1 grams for women. A few months ago, the 2015 Dietary Guidelines for Americans were released. The new recommendations from the USDA encourage all of us to reduce saturated fat intake and shift to foods high in the healthy polyunsaturated fats. Choosing plant-based foods like walnuts is a great way to help you meet that goal. Walnuts are versatile. 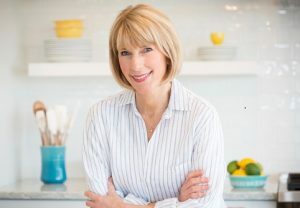 I love to grab a handful for a snack, add them to breakfast favorites like fruit & yogurt parfaits and overnight oats, and incorporate them into pancakes, cookies and quick breads. 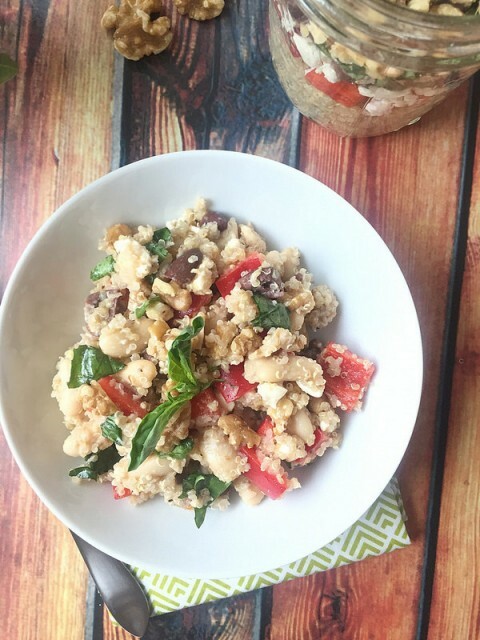 They also provide an easy way to add more plant-based protein to things like salads and pasta dinners. … and then add the final touches with fresh basil and toasted, chopped walnuts. Yes please! Each serving has over a day’s worth of good-for-you ALA omega-3 fat, 11 grams of filling fiber, and 14 grams of protein. This gluten-free salad is seriously yummy, and it's super flexible. You can use any bean of your liking or add any veggie you love. Hmmm: Roasted beets sound good right now! And for even more flavor, go ahead and add some lemon zest to the quinoa/bean mixture or just before serving. 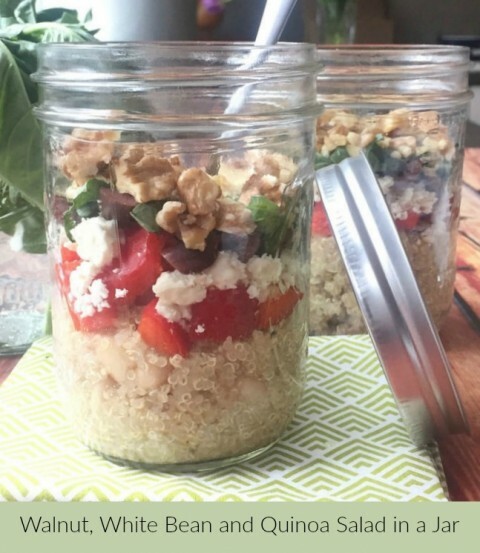 Divide the salad dressing evenly between two wide mouth, pint-size Mason jars and top each evenly with the quinoa and white beans. Use a fork to stir the ingredients together until the quinoa and beans are well coated with the dressing. Continue layering each with the bell peppers, feta cheese as desired, olives, basil leaves, and the walnuts. Secure the lid and refrigerate. To serve, shake until the ingredients are combined, and then pour into individual bowls, or eat directly from the jar with a spoon or fork. One salad has 25% vitamin A, 80% vitamin C, 20% iron, 10% calcium, and 2.7 grams ALA. Ever wonder how walnuts are harvested? Check out this fun video! I love finely chopped walnuts in oatmeal, pancakes, cookies, cake even smoothies. I put walnuts in salads and oatmeal! This sounds like such a delicious salad! I did not know that walnuts were that good for me – I clearly need to up my walnut intake! Thanks so much! So many delicious flavours and textures! Yum! O wow! What a lovely combo! A perfect meal for sure! Let us know if you try it. It is so yummy! 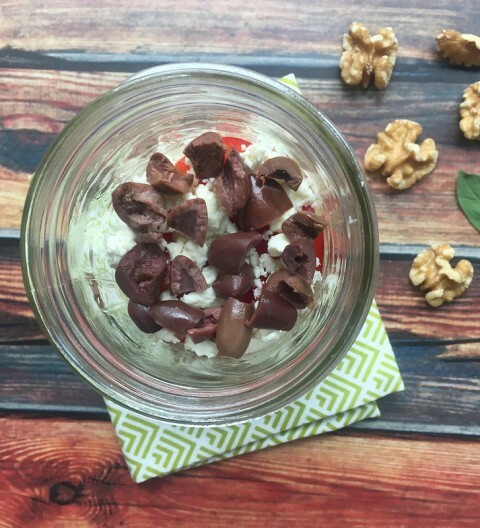 I love adding walnuts to salads and yogurt! I add walnuts in cookies. I love to candy walnuts with karo syrup and cayenne for a crunchy, sweet and spicy addition to my pear, blue cheese and dark greens salad. It wins over everyone at the party. If…you can wait to eat the walnuts with the salad! 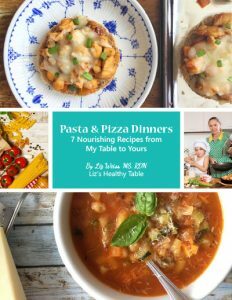 Love the rosemary walnut recipe, I will be trying this week! Oatmeal is the easiest way for us. Looking forward to new ideas. I like to add walnuts in my salads or incorporate them with seafood dishes. Thanks for the chance! I love to add walnuts to my oatmeal or trail mix. Walnuts are a staple at my house. They are added to morning oatmeal, top of salads, or used for pesto in place of pine nuts. Great post and podcast! I’ve been enjoying listening to them on my commute to work! I love adding walnuts to my homemade pesto for putting on pasta or grilled veggies! Thanks for the chance to win. Whenever I feel hungry or just before going to exercise I eat a handful of walnuts for protein energy. 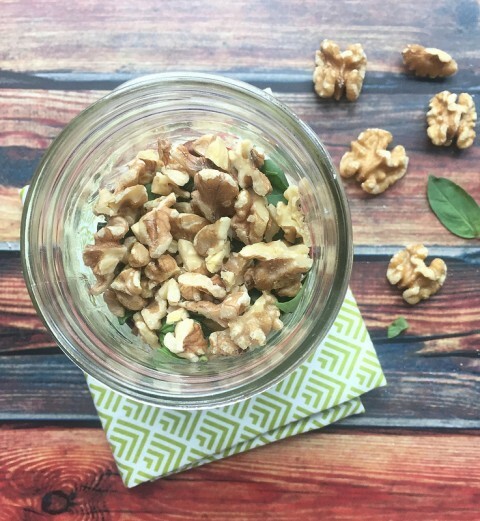 Love incorporating walnuts in salads or a healthy snack at work. Would love to start getting the kids more into eating them too! I use walnuts daily in many different dishes and desserts. They contain such wonderful essential oils which help the body, skin and hair. Not to mention that they taste delicious, too! I would love to win this wonderful prize pack! It sure is. And so versatile too! Sorghum perhaps? I recently made walnut-lentil burgers that were delicious. I would love to further increase my family’s walnut consumption! I love most nuts, but walnuts are one of my favorites. I love to add them to oatmeal, yogurt, salads, ice cream and I use them in place of graham crackers for some of our desserts. 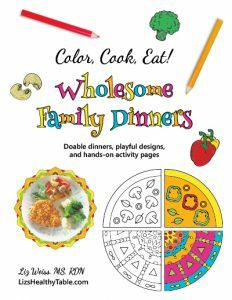 They are really delicious on their own and as garnishment for stir fry’s and other dinners. They are just so versatile. We buy raw walnuts and roast in the oven them constantly. We always have a mason jar full and use them in oatmeal, on salads, and in our cinnamon banana walnut compote over pancakes! I frequently make your Walnut Crusted Salmon recipe. Umm, by the handful! I love walnuts so I enjoy snacking on them, tossing in a salad or oatmeal and chopping to add to fish dishes. Does adding walnuts to brownies count? 😉 I add them to banana bread also! I like to add walnuts to salads and pesto. I like walnuts sprinkled over the top of my salads. Also mixed into my oatmeal! Thank you!! It is my go to snack. A handful of walnuts and we often put them on our yoghurt too. I love to add walnuts to my morning oatmeal! I use Walnuts with almost every meal and snack during the day. I use Walnuts in my homemade steel oatmeal, yogurt, salads, my sweet potato rounds. I put a portion of Walnuts (170 calories), ( 1/4 cup) in snack bags and keep in my desk, car, and purse so if I need some good energy, they are always near by. That way you are increasing your HDL Good Cholesterol, satisfying your hunger, and keeping you healthy. Walnuts are truly Heart Healthy! I use walnuts often. My family really likes the crunch in muffins, breads and cakes. I like putting walnuts in salad. Walnuts just changes the taste of many things. My family wasn’t too sure about adding walnuts to things but they are willing to try. Adding the nuts to cereal, oatmeal and in baking is a fun way to add walnuts into your diet. I enjoy just snacking on walnuts, whether cracking the shell to get your own or buying pre-shelled. It’s all good! I follow on Facebook, Pinterest and occasionally on the website. We use walnuts in oatmeal, banana bread and on salads! Our family enjoys eating walnuts on our salads, with yogurt, and in brownies! Thanks for these new recipe ideas. I love to add walnuts in oatmeal and farina for breakfast. I trade out pecans in my grandmothers banana bread recipe for walnuts. I love to use walnuts surprisingly as a topping on a turkey sausage pizza with a basil pesto sauce. In cereal, whole grain breads and cookies and salads. I always put walnuts in my yogurt. Adds great texture too! Use them on salads, oatmeal, in cookies. They are so versatile. Love your podcast. I listen while washing dishes to make that chore more fun! I include walnuts in breakfast bars and make pesto with walnuts. Walnuts on oatmeal and in pesto are the favorites in our house. 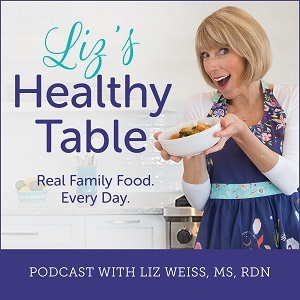 Love the podcast and easy ideas for healthy meals! I often make walnut butter or walnut milk. Topping porridge is another go-to. Cheers! Also, following on Twitter, FB, Pinterest. Brownies and fudge are no good without walnuts! We love your cashew nut idea. Thanks for sharing! I love making maple walnut butter and spreading it on some pie crust chips!! Delicious! !